Okay, so it's just Halo Wars 2, not a full-fledged Halo game. But still. Well, PC brethren, you finally got your wish: Halo is coming to the PC again in 2016. Sort of. I’m curious to see how the game turns out on the PC. 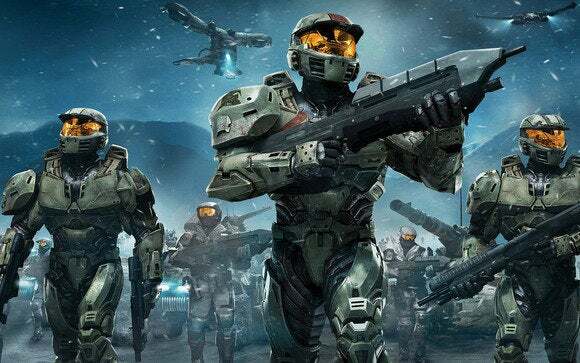 The previous Halo Wars was developed solely for the Xbox 360 and was criticized for simplifying the real-time strategy genre to fit the constraints of the controller. With PC stalwarts Creative Assembly (of Total War fame) developing the sequel for Windows 10 and Xbox One, hopefully they can find a balance between the depth of a traditional real-time strategy game and something that can be played with a controller. Not the easiest challenge to overcome. And if you’re still mad it’s not a “real” Halo game coming to the PC? Keep in mind that with Windows 10 you can stream Xbox One games to your desktop, so I guess technically all of the Halo games are coming to PC. Technically. Sigh. Maybe one day Microsoft will stop fighting with itself and bring Halo over. One day.